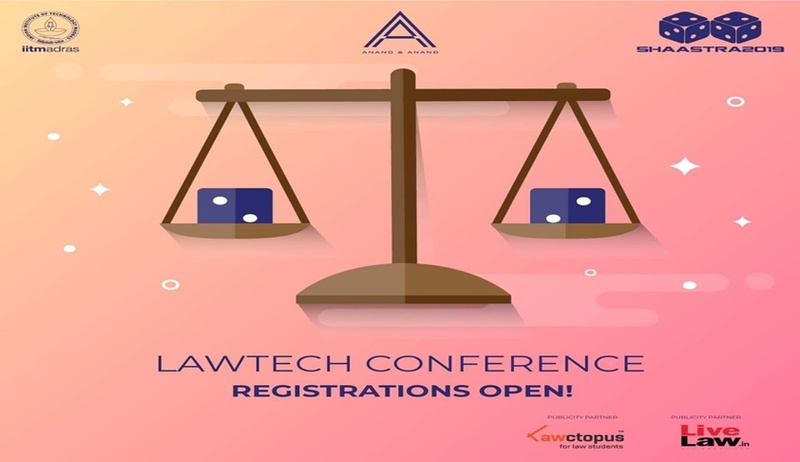 Shaastra, IIT Madras’s annual technical festival will hold the LawTech Conference 2019. Growing out of the increasing intersection between law and technology, the LawTech Conference seeks to serve as a platform to enlighten those interested in the emerging field. With a wide array of events such as workshops, panels, lectures and more, the conference will cover the use of advanced technologies such as artificial intelligence, blockchain and law-bots for assisting lawyers and to also help entrepreneurs and inventors with laws on intellectual property and patents. The presenting sponsor for the LawTech Conference is Anand & Anand, the foremost intellectual property firm in India. What is Blockchain and distributed ledger system? How can it help lawyers and clients? Do smart contracts have questionable legal status? What are the laws governing machines and AI? Who is liable for crimes committed by AI & bots? What are the current technologies which are enhancing law? Demonstration of online platforms where engineers and inventors can freelance as a Patent Agent followed by live exercises for the participants. Queries can be addressed to mootcourt@shaastra.org, or Hardhik B Jhurani [+9179890 61349], or Charishma Takkallapalli [+9198408 91737].